Our education system has served us well thus far. Presentation skills, deal-making skills, teamwork skills and the like are key components of our education system. Our vocational training is also up to par. So to many Singaporeans, and to the world at large, there seems to be no immediate pressing issue with our system. Singaporean students regularly lift our chins high at international examinations and tests, providing a reliable mandate for our education system. But one issue is up and coming. The issue is about how the government has inadvertently capped human expression and freedom by setting up a system that is still primarily geared towards post-independence nation-building (churning out smart and versatile labour), 50 years after our independence. Our freedom of expression is not as openly restricted as in other developed nations, but Singapore emphasises an intensity of political correctness. Granted, political correctness has its merits in minimising harm to others’ feelings and thoughts. However, while it may have kept us shielded from the racial riots or demonstrations for LGBT rights, I’d argue that this phenomenon has also led to the xenophobia and intolerance we see in Singapore today. This is because when people are stopped from being legitimately heard and answered in an open way, such feelings may be suppressed until they one day overflow in the form of uncorrected prejudice. What are our current solutions, and why don’t they work? Our feedback system is limited to existence within the government and whatever little else can trickle into Parliament through current official channels like REACH. REACH is a good initiative, but it falls short in its actual reach: a quick browse through its webpage and Facebook streams will reveal that it lacks a high level of user participation. This makes it even more susceptible to being crowded out by worthless comments that obscure true feedback and suggestions. 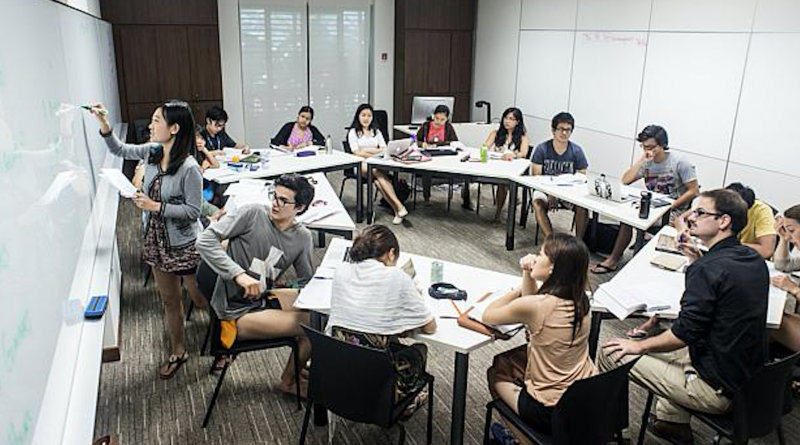 A better source of thoughtful words and solutions might be model parliaments, Model United Nations (MUN) sessions held regularly in Singapore schools, and public journals. In addition, we often overlook the bountiful sociologists, historians, political scientists, psychologists and philosophers we train up every year. It is an accepted yet ugly truth that our Arts and Social Sciences graduates end up in jobs either unrelated to their fields or in those that limit their expertise and knowledge – such as teaching. Teaching is a worthy career by all respects (and is the reason why I had the will to write this) but due to the constraints of syllabi and education guidelines, our graduates-turned-teachers end up limiting their abilities to keep educational content rational and focused. Their own thoughts and perspectives often don’t find their way into the classroom and are lost instead to the routine of content and syllabus. Our accomplished academics should be encouraged to write openly on good governance and should not be made to fear reprisals if they break from the national narrative. These writings should be collected, published for the public, and most importantly, debated upon in parliament. A pseudo-technocracy such as this would augment our politicians’ decision-making and provide Singaporeans with a greater sense of ownership than they have today. It drives against the mentality that governance should be left to the government, and that the only role of the citizen is to vote-and-forget. Our politicians currently draw on their vast knowledge and experience to lead the way ahead. But no matter how wise or knowledgeable they may be, there will always be better, more innovative ideas floating inside the minds of individuals outside the government. The freedom of speech was pioneered during the Enlightenment not to promote hate speech, or hurt. Rather, it was conceptualized to allow discussions and questioning based on reason instead of blind faith. Applying this to the individuals misled into xenophobia or intolerance will yield a far more favourable result than any single government policy can. This is because it attacks the root of the problem. A good example of this would be Muslim extremism. It has failed to break our confidence in each other because of what we can see and hear every day from our Muslim brothers and sisters, not because of the government tells us so. There is nothing stronger than the voices of our fellow citizens to change hearts and minds. Our citizens, therefore, must come forward and be given the chance to voice their views. To achieve the aspiration of being an inclusive nation, our governance cannot be reserved for a small group of intellectuals or bureaucrats. It is only when citizens are brought actively into the discussion about how to bring our nation forward that we reduce the likelihood for misunderstandings or misgivings about each other. Kshitij Bansal is about to enter Yale-NUS College to pursue liberal arts, with a keen interest in behavioural economics and how humans make decisions to design more effective government policies. He credits his interest in such issues to GP lessons during his A levels, and thus he pushes forth in his emphasis on arguments and free speech.